Sleeping mattresses provide pertinent functions to aid you in getting a good night sleep when outdoors. Through insulation and cushioning, it can keep you warm and comfortable on any environment condition. When choosing the best camping mattresses for sleeping, you need to consider the type of mattresses, intended use and features it gives. There are three types of mattresses – self-inflating, closed-cell and air. These offer different levels of comfort and features. In this article we shall be identifying the best camping air mattresses in the market. Depending on the activities you need to perform, you must identify the intended use of the camping mattress. Are you going to use it inside the car, inside a tent, winter camping or backpacking? With this, you can identify the features that you need the most. As you make you decision when purchasing a mattress, we recommend you try different pads. You can take note that pros and cons of each pad. With this, you can find one that features the pros you prioritize. The cons must be things that you can go along with even if it is exhibited by the sleeping mattress. If you are purchasing a camping mattress, we recommend you review the best camping mattresses in the market. Here are some of our camping mattresses picks for 2019. Airbed Cot and Attached Side Table 59" x 22" x 78" 41.9 lbs. Megamat 10 Self-Inflating Insulated Sleeping Pad 33" x 11" x 9" 5.94 lbs. Self-Inflating MondoKing 3D Camping Foam Mattress 33" x 11" x 9" 5.36 lbs. Dreamtime Luxury Form Self-Inflating Camping Mattress 77" x 3.5" x 30" 7 lbs. Inflatable Outback Mat 77" x 3.5" x 30" 7 lbs. Nomad Insulated Mattress 13" x 9" x 7" 3.1 lbs. 2-Pax PVC-Free Mattress Air Bed for Travel and Camping 13" x 9" x 7" 5 lbs. 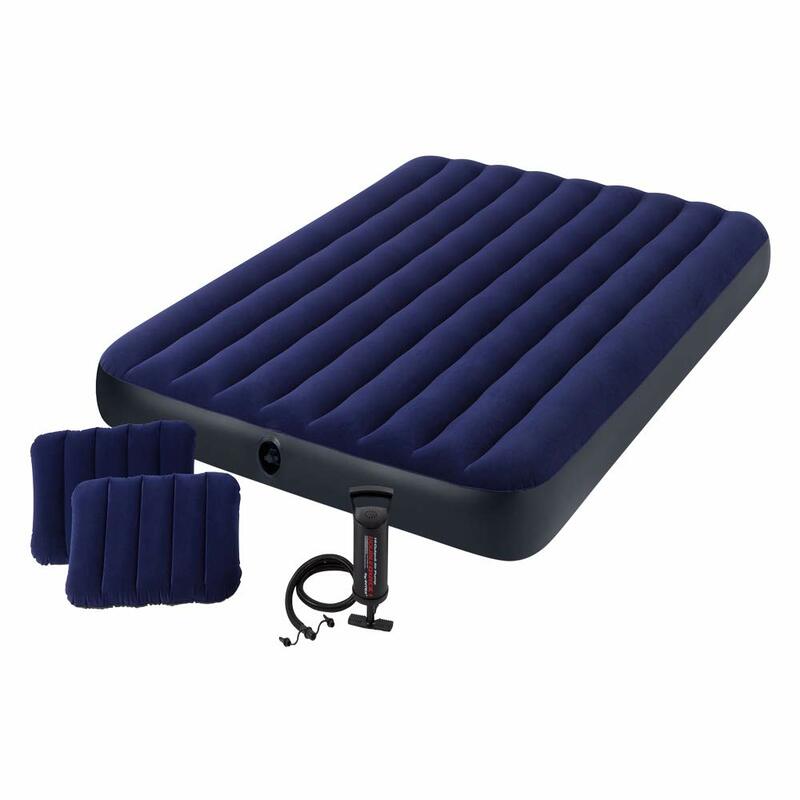 Camping Air Mattress from SoundAsleep 13" x 9" x 7" 13.8 lbs. Classic Airbed Downy Set 80" x 60" x 9" 11.64 lbs. Aiming to aid adventure seekers experience great memories, Coleman offers reliable outdoor equipment to consumers. Among the many items offered by this brand, this product has been one of the favorites of consumers. Weighing only at 41.9 pounds, this queen-sized bed can snuggly fit up to two people. It is a great option for camping or guests in your home. This steel cot can support at most 600 pounds of weight. Moreover, people with a height of at most 6 ft. and 2 in. can also be accommodated. This product features a coil construction, ComfortStrong, which provides comfort as well support. If you worry about air leaking out, you no longer need to fret as it utilizes an air tight system. You can also inflate it easily using a battery-operated air ump. You can truly get value for your money with this cot and airbed as it offers supported and elevated sleeping. Inflating tends to be very noisy. 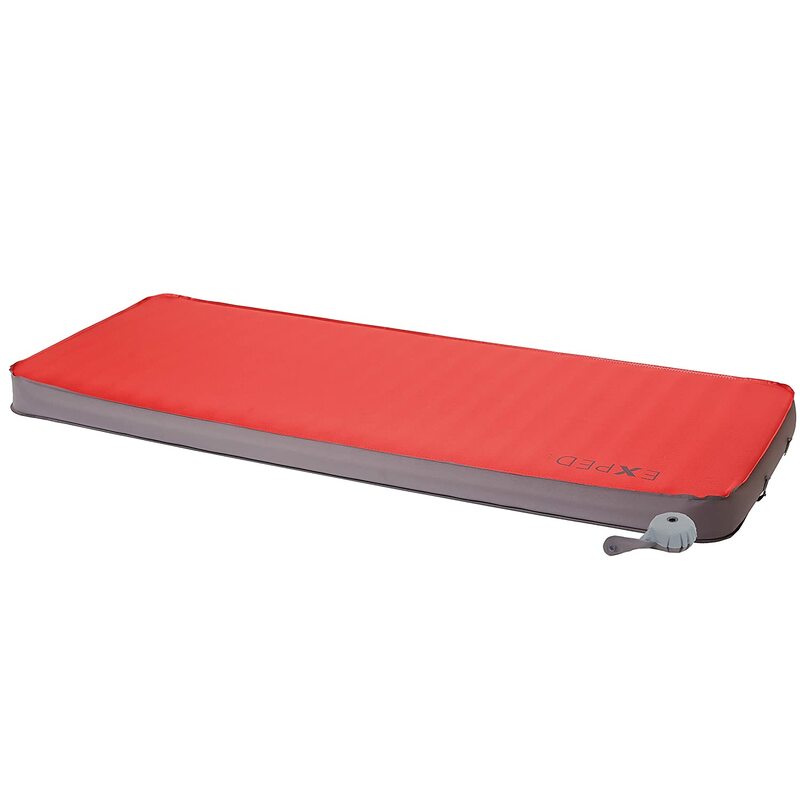 Offering superior sleeping pad qualities, this product from Exped maintains a warm temperature throughout the surface. With this, you can comfortable relax while camping, rafting or staying at basecamp. The tricot stretchable surface aims to provide you an excellent relaxation after a tiring day. It features 3.9 inches of elevation, allowing you to get a more luxurious feel compared to other brands. You can also inflate it easily using the mini air pump. In addition to this, you can customize its firmness as you increase or decrease the amount of air. This product also works well on different seasons. Its insulation, Bluesign-certified, allows the mattress to stay warm even on cold weather temperature. On the other hand, you can easily pack it up and store in a roll-top bag along with its accessories. Similar with the mattress from Exped, this mattress from Therm-a-Rest has a 4-inch height. It offers the best comfort as it keeps the warmth throughout your sleep. Moreover, it is ideal for travel and camping because it does not require a pump for inflation. Measuring at 77 inches long and 25 inches wide, it delivers comfort even on tall individuals as a portable mattress for sleeping. 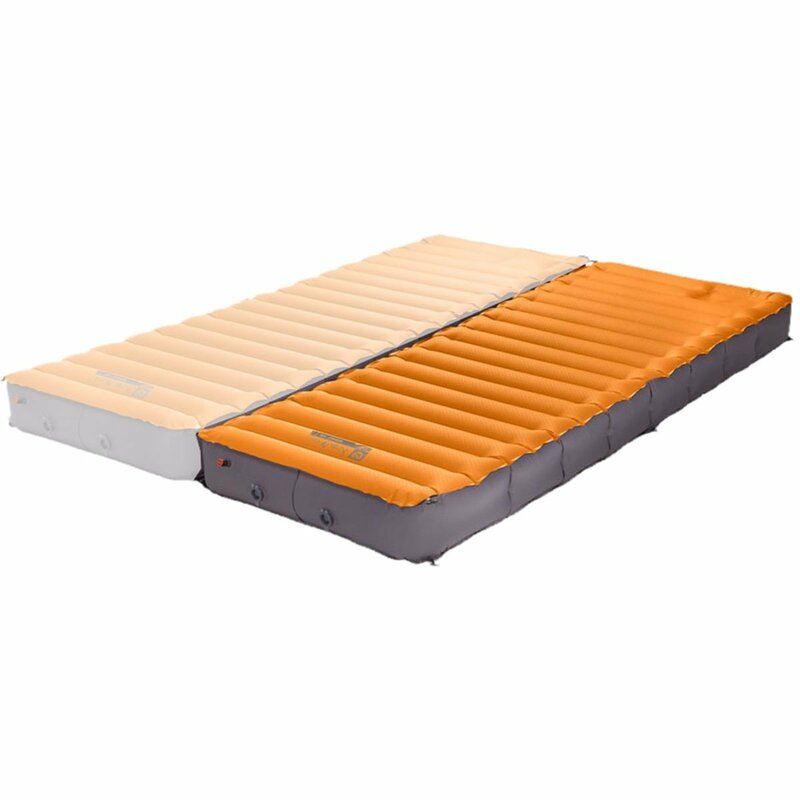 Its sidewalls have two pads which allow multiple mattresses to pair up. 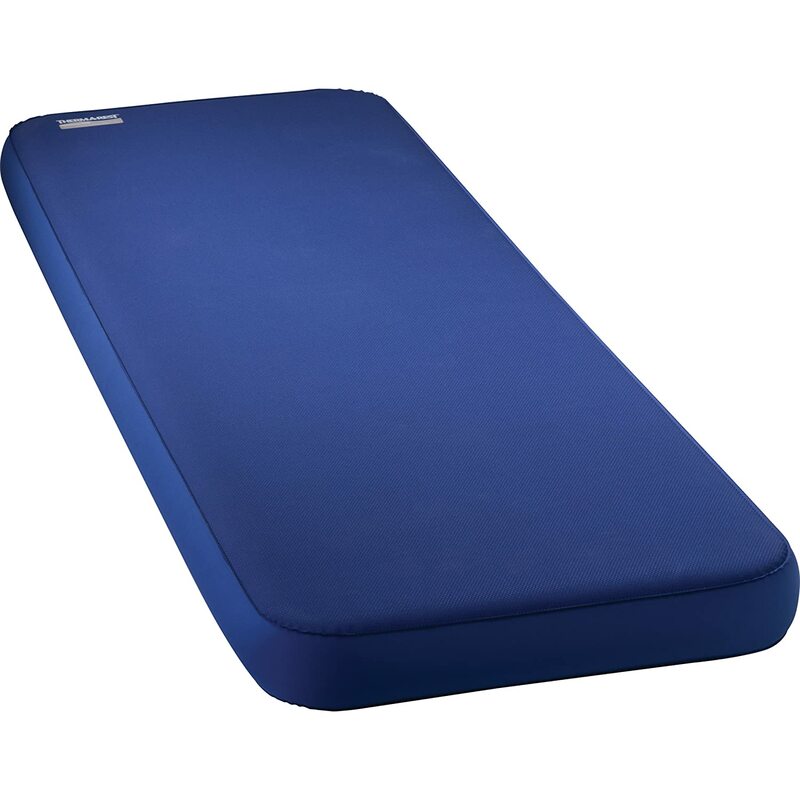 This creates a large sleeping pad capable to carry up to two people. On the other hand, you can easily unpack the mattress. It utilizes dual valves that allow the urethane core foam to inflate and expand. The compressed sleeping pad can easily adjust to preferred firmness as you incorporate multiple few breaths. You can efficiently carry it using the stuff sack that it came along with. Truly a portable product, it expands up to 77″ x 25″ x 4″ and rolls on 7″ x 26″. Moreover, it weighs only 5.5 pounds. This product from Therm-a-Rest has been one of the popular picks of consumers due to the stability and comfort it provides. Moreover, it is easy to inflate, allowing you to utilize it faster than other brands. Compared with the previous mat from the same brand, the self-inflating capability of this foam mattress is better. Whether you are sleeping outdoors at own home, you are assured of a quick way to inflate it. You can also clean it easily as the cover is machine washable. On the other hand, the microfiber top allows you to easily swipe off dirt and debris. With this, you can experience excellent comfort as it brushes off your skin. It is also equipped with an internal pillow which hugs and gently lifts the contours of your head. Moreover, you can also experience excellent life with the inflated mattress core. Worry no more as Dreamtime Mattress can help you get that good night’s rest on your trip. Here are some of its pros and cons. Providing a luxurious experience on your camping and outdoor activities, this product from Nemo features versatility and durability. You can easily expand the size by liking together two mattresses. This results to a queen-sized full bed. The toggle link keeps the pieces securely linked together. In comparison with other mattresses, this product requires a pump powered by battery. Moreover, it has a high speed and built-in foot pump for air supply. You are also ensured quick inflation and deflation through the dual valves. It has a micro adjust features which allows you to get the firmness you desire. Most mattresses utilize vertical baffles when it comes to the core material. This product has lateral baffles which support the contours of your body better than vertical ones. Lastly, it has a 6-inch height, eliminating the risk of feeling the ground. It provides excellent comfort compared with other mattresses that have one to three inches thickness only. This PVC-free bed inflated with air can fit up to two (2) persons. It features a patented system for stabilization. This allows the single valve cap to easily inflate and deflate in a fast manner. The queen-sized mattress only weighs six pounds, making it easy to bring along on camping and outdoor trips. On the other hand, the pump accessory can be included in a storage bag. Made from Thermoplastic Polyurethane material, the mattress becomes compact as your pack it up. Moreover, the temperature is despite any change in the weather condition. In addition to these, the material is resistant to abrasion and provides better durability than PVC-made beds. There is no pungent or unpleasant plastic smell which makes it ideal for traveling and camping. Equipped with Comfort Coil Technology, this product from SoundAsleep has air coils and eco-friendly PVC which provides durability. You can utilize this product for outdoor use especially on camping trips and weekend getaway with your family. For easy inflation, the package comes with an external pump. It has a rechargeable battery which you can charge at home or at your car. Its patented technology offers durability as it is made from heavy duty materials. 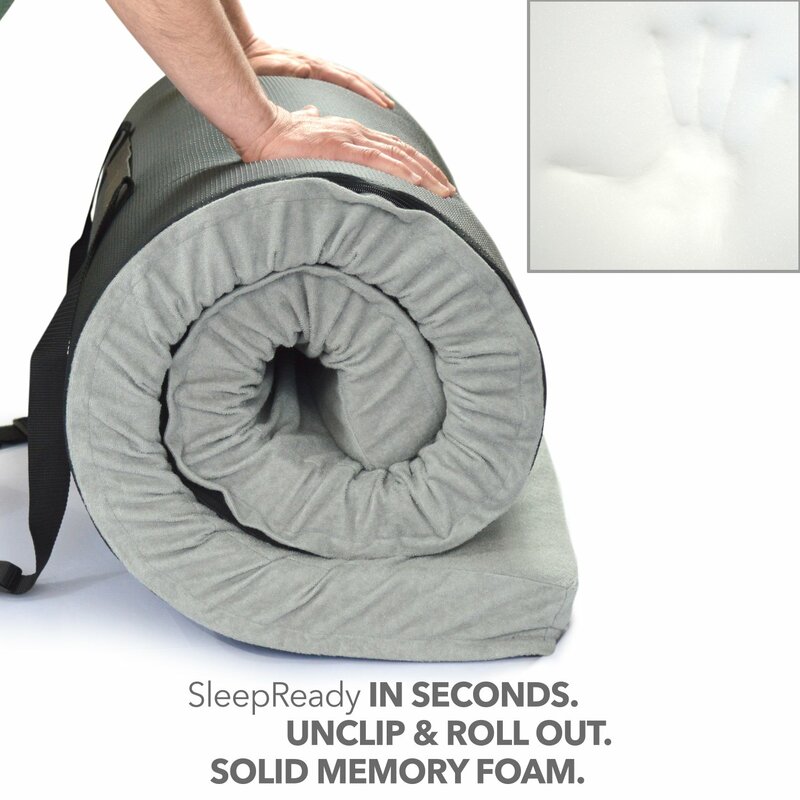 You can immediately relax on the air mattress as it can fully inflate in less than three minutes. The product is designed especially for use on outdoor activities. It has a thick material that can withstand potential rips and punctures brought by sharp objects outdoors. The manufacturer offers two sizes – queen and twin sizes. You can select the appropriate size according to your requirements. For easy transport, a carrying bag comes along with the package. Lastly, it is offered a low price point compared with the previous mattress selections. With this, you are provided value for your money. This queen-sized airbed is equipped with two pillows that are inflatable. You need not to worry about inflating the mattress and pillows as it comes with a hand pump. The surface of the mattress is waterproof, making it easy to clean. You can simply spot clean the dirty area with just soap and clean water. It has wave beams which hugs the contours of your body well. This can give you a good night sleep on any ground condition in your camp site. The 2-in-1 valve has a wide opening. This features makes it easy to inflate of deflate quickly. You can adjust the firmness of the airbed by providing the appropriate amount of air inside. Have double the height size from Exped and Therm-a-rest, it features 8.75 inches of height, giving you intense comfort. It is light weight and compact, perfect for camping and outdoor activities. Moreover, queen-size standard sheets can easily fit on the mattress. This product from Better Habitat comes with a terry sheet made from cotton. It is a waterproof material which keeps the bottom from slipping. Compared with other sleeping mattresses, SleepReady provides more convenience. 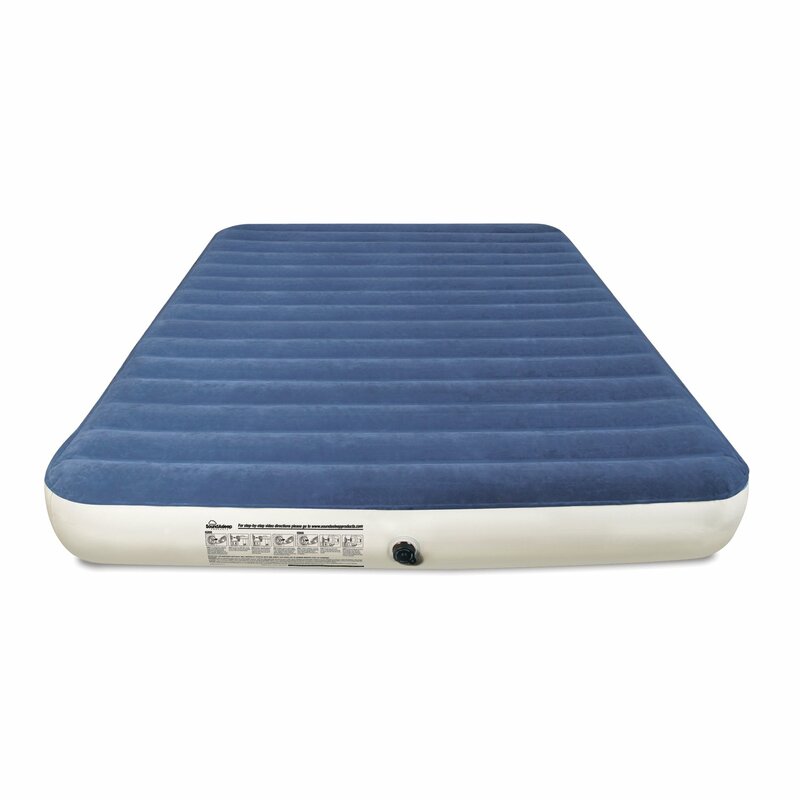 It is one of the best portable sleeping mattresses in the market. The memory foam measures at 3 inches in height which provides excellent support and added comfort. It is great for improving joint pain condition, improved heath and energy. The hypoallergenic cover eliminates potential allergens, dust, mold and bacteria from building up. It is a versatile and portable sleeping mattress. You can easily go on your outdoor trips through its easy carry handle and travel bag. 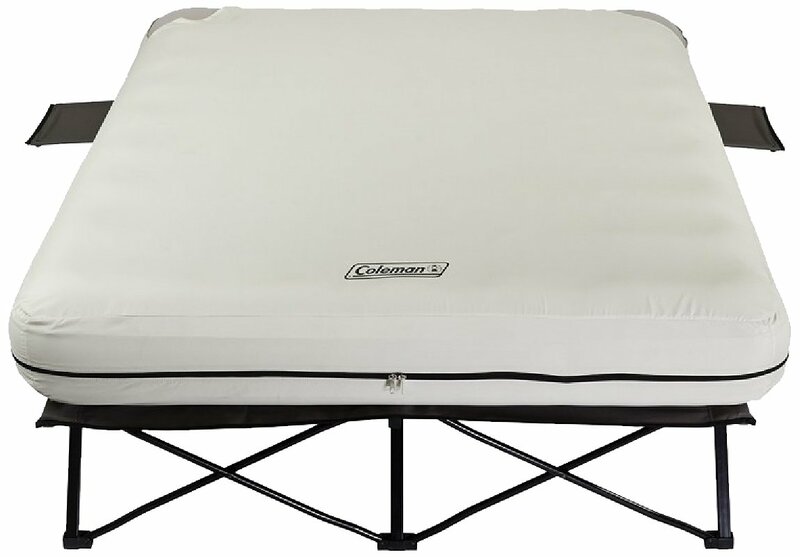 It is an excellent rollaway bed for camping trips or just simple overnight trips. These are some of the best camping mattress products from reliable brands. We recommend you get one that provides not only quality but also value for your money. In the next section, we shall be looking into the features that an excellent camping mattress should have. When selecting a sleeping mattress, it is important to look into several considerations. Not only should it provide the basic features, but the mattress should also address your needs. Here are some of the key features you should look for in a sleeping mattress. Experts consider insulation as an essential feature for you to get a good sleep even on any temperatures. To provide counteraction, most self-inflating air pads utilize a synthetic layer of insulation inside. Some mattresses even have down insulation which can also cater insulation on cold temperatures. On the other hand, the R-value of a sleeping mattress defines its ability to resist the flow of heat. The higher this value, the more insulation it provides on cold surfaces. Manufacturers usually feature a temperature range or R-value to give you an idea of its insulation capability. You can expect thicker sleeping mattresses to have an R-value of at three (3). Camping enthusiasts, especially women, choose mattresses with R-value of four (4) or higher. These mattresses provide more insulation on the feet area and the core. We recommend you choose one which offers a higher rating for insulation. 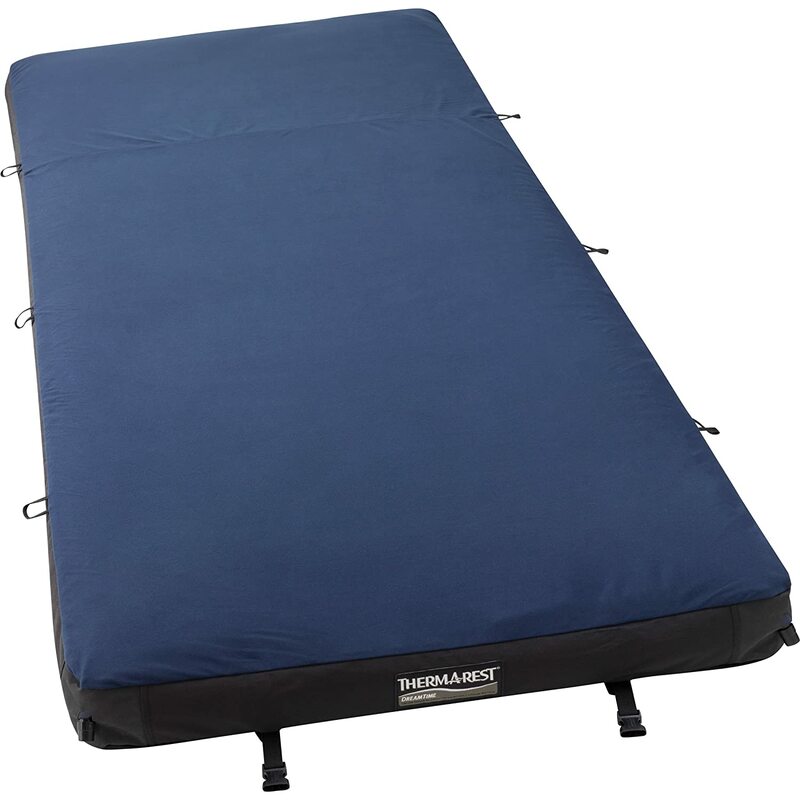 There are a number of sleeping mattresses that are lightweight, making them excellent for backpacking. Nevertheless, most of them tend to be expensive. Should you want a lightweight sleeping mattress without the big price tag, you can consider tapered or mummy shaped ones. The shape reduces the volume it takes especially when packed smaller. You can also get foam pads that have a shorter length which makes it more lightweight. If you are preparing for two people, it is also great to get double-sized sleeping mattresses. Not only will you only bring one package, it will also feel lighter. Depending on your camping requirements, the length and width of your sleeping mattress may vary. Most mattresses measure from 72 to 78 inches. This length will help insulate your feet and legs especially on winter and cold fall trips. If you want to pack less, you can select a shorter one with length from 47 to 48 inches. On the other hand, standard mattresses have a 20-inch width. Nevertheless, if you usually roll around or just a large person, this may be small for you. We recommend you get mattresses that have width from 25 to 30 inches. Note that most of the long mattresses are wide as well. But, there are still some that are long yet still employing a regular length. Some sleeping mattresses have large side baffles, also known as rails. These prevent you in rolling off when you are asleep. We recommend you get mattresses with this feature for kids or if you roll around too much. You can also look for mattresses that already have pillow baffles. These will help cradle your head, eliminating the need to purchase a separate pillow. If you feel restless as you sleep, we recommend you to get brushed-fabric or textured sleeping mattress. This surface may prevent you from sliding down or off the mattress, giving you a good night sleep. Moreover, the surface also tends to appear quieter than other smoother ones. If you prefer air mattresses, you may look into the inflation features of it. You can refer to the deflation valve and inflation valve performance. These provide information with regard to the speed of air flow going in and out. Newer pads feature a larger opening of the valve’s neck. This will allow faster inflation even with just a few breathes. Moreover, there are some which features multiple inflation chambers, giving you additional cushion should one layer fail. There are other sleeping mattress considerations you can look into such as the bag sleeves, air pumps and patch kits. We recommend you identify the type of sleeping mattress and additional accessories you need on your next trip. We encourage you find a sleeping mattress that is durable and versatile. Using for a long period of time shall give you the most value for your money. Lastly, you must also check the quality of the mattress before you go outdoors. This is to make sure that it is in good shape. 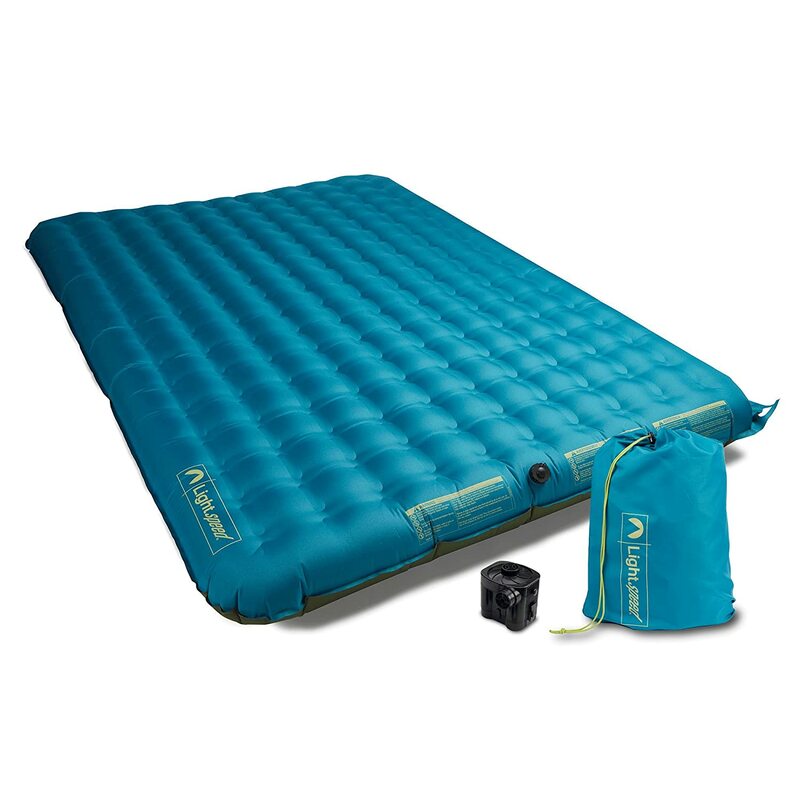 If you are into comfort and feel, sleeping pads from Exped and Therm-a-Rest are great choices. However, if you want to invest on heavy-duty ones, you can consider mattresses from ALPS Mountaineering and Nemo. On the other hand, the other mattresses from SoundAsleep, Better Habitat, Lightspeed and Intex offer unique features. Should you want to get a mattress that can fit two people, the mattress from Coleman is also great selection. Also check out our list of best waterproof backpacks and best backpaking tents in 2019.